Don’t be the weight trainer who forgets how important minerals and vitamins are for healthy muscle gains and recovery. Combine a well thought out weight lifting routine with a diet rich in vitamins to get the most from your workouts. Reduce body fat and raise testosterone levels, studies have shown up to a 20% increase in testosterone in men after taking vitamin D supplements. Will help increase strength, coupled with a strength training routine, studies have shown an increase in explosive power. Helps the body absorb calcium and phosphorus. Calcium helps muscle contraction and phosphorus is needed for the synthesis of ATP. The best source of vitamin D is sunlight, but don’t go overdoing it. A sensible 3 x 5-10 mins full sun exposure on bare skin per week, will give you sufficient amounts of vitamin D.
Vitamin D does have a tendency to break down pretty quick, so if you are trying to avoid too much sun then bumping up your vitamin D intake with a supplement or any of the foods listed below would be an excellent idea. How much should you be taking if you opt for supplements? It may be a good idea to supplement during the winter months when there’s not a lot of strong sunshine: Most multivitamins include 600UI PER RDA capsule some up to 1000, there’s no exact amount needed but anywhere between the 600-1000 mark should keep your muscle and bones happy. 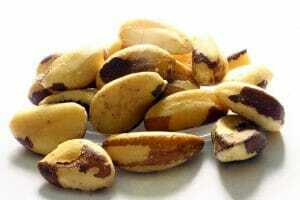 Since the 1950’s Selenium has been thought of as an important trace mineral. There is a lot of ongoing research trying to define selenium’s many functions. It was thought that selenium could help to combat prostate cancer, most recent research suggests it has no effect preventing or treating prostate cancer. But it does aid many important bodily functions. Most importantly a selenium deficiency can affect thyroid function, our thyroid regulates bodily functions including muscle strength and growth. A selenium deficiency may also include immune system problems, heart disease and inflammatory issues. How does selenium affect your body? Selenium aids the body in processing proteins, producing selenoproteins that help prevent cellular damage. Selenium enables enzymes needed for our immune regulator, protecting our bodies from disease. It’s recommended both men and women from age of 14 throughout adulthood require 55mcg of selenium daily. A 4oz portion of salmon provides 42mcg but by far the best source is brazil nuts with a whopping 1917mcg per 100g serving. You will only need two nuts for your daily allowance. Often overlooked, Vitamin A plays a vital role in the repair and growth of body tissues. High-intensity training can hinder the absorption of vitamin A, depleting the already low state bodybuilders may have because of their low-fat diets. This is why anyone with a low-fat diet, particularly bodybuilders, may have a continued low vitamin A count. Low-fat diets prevent bile from forming in the intestine where vitamin A is stored and maintained. Signs of Vitamin A deficiency include: Night blindness, dry scaly skin, predisposition to infection in the lungs. Iron is one of the most well-known micronutrients. Iron is a mineral and its main purpose is to carry oxygen haemoglobin of red blood cells throughout the body, so cells can produce energy. Iron helps regulate cell growth and differentiation and is a structural component of many proteins and enzymes. The important stuff: When we exercise, lift weights, our muscles require an increased amount of oxygen-enriched blood to function fully, haemoglobin will transport the extra oxygen the muscles need. In short, the iron in each haemoglobin binds oxygen for transport. Iron is the most common nutrient deficiency in the United States and it is most common in women, often due to excessive menstrual bleeding. Not getting enough iron can cause some serious health issues such as iron deficiency anaemia, symptoms of this include, chest pain, dizziness, pale skin, brittle nails and cold hands or feet. You need to make sure you are getting the recommended daily allowance of 8mg a day for adults. Your doctor may recommend a supplement if you are having difficulty getting enough iron from food. Arguably the most important vitamin for bodybuilders, why? because one of its main functions is maintaining the proper functioning of the nervous system that carries impulses to the muscles from the brain. Another important function of vitamin B12 is it assists metabolizing protein and fat. This is very important to us bodybuilders as we need the amino acids from the protein metabolism to repair and build our muscles and the fat to be converted to energy. B12 along with the other complex B vitamins is essential for the production of red blood cells, a necessary for delivering oxygen to your muscles. Many research studies suggest a deficiency of vitamin B12 can cause neurological disorders such as dementia, cognitive impairment, and depression. There are many other symptoms of B12 deficiency similar to that of iron: weakness, tiredness, or lightheadedness, heart palpitations and shortness of breath and pale skin. Most people should be able to get enough Vitamin B12 from their food but sometimes supplements are needed, it’s fairly rare for someone to be B12 deficient. 2.4 mcg per day—which is the FDA’s Recommended Dietary Allowance (RDA) for vitamin B12. Whether or not a single vitamin or mineral deficiency will affect performance in the gym is debatable. But there is no doubt any deficiency is abnormal. Firstly you should always try and change your diet to combat any abnormalities and then if symptoms persist talk to your doctor about taking a relevant supplement. How Much Water Should I Drink When Exercising? It is so good to know that there are vitamins that have been provided for us that we can intake to really help us get in and stay in good health. I believe that we should all have these daily intakes to keep our bodies healthy and strong. Your post is well detailed with good information and will be a good help to your readers. If you have a lot of variation in your diet, you should have no problems getting enough vits and minerals. Include a good exercise routine and I agree, we should have no trouble keeping our body’s fit and strong. Thanks for the comment. I appreciate your post. The body is a complicated machine that needs optimal nutrients to perform at its best. Balancing these nutrients can be difficult. The Weston A. Price Foundation years ago did research on the strong effect that vitamin A and D deficiencies have on many diseases from asthma to psoriasis. I believe that ensuring your 5 basic vitamins/minerals are in balance would absolutely improve gym performance. Superb website you have here but I was wondering if you knew of any community forums that cover the same topics discussed here? I’d really like to be a part of group where I can get suggestions from other knowledgeable individuals that share the same interest. If you have any suggestions, please let me know. Many thanks!